LOS ANGELES (AP) — Long before he wrote and recorded the Jefferson Airplane classic “Embryonic Journey,” Jorma Kaukonen was on a decades-long journey of discovery of his own. From shy, sometimes bullied upper-class son of a globe-trotting U.S. diplomat in post-colonial Pakistan, Kaukonen would evolve into a hard-drinking, hell-raising teenager racing his motorcycle through the streets of the Philippines in the mid-1950s. Then it was on to a Jesuit university to study Aristotelian logic and other lofty subjects when not playing lead guitar for the Jefferson Airplane, a band he co-founded with Marty Balin, Jack Casady and others and that helped bring psychedelic sounds to the forefront of music. Oh, and in his spare time Kaukonen would co-found another iconic band, Hot Tuna, which is still recording and touring 48 years later. “It’s really funny, it’s hard to rate one’s own life” the 77-year-old guitarist says, smiling broadly as he reflects on how an embassy brat turned intellectual academic seemed to morph so easily into a rock star in 1967’s Summer of Love San Francisco. 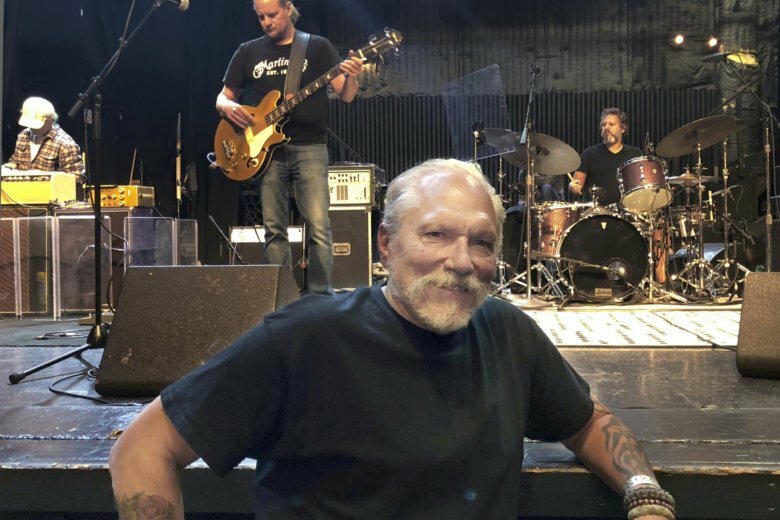 “But all things considered, I have had a pretty interesting life,” adds the friendly self-effacing Kaukonen as he relaxes in a deserted VIP section of Hollywood’s El Rey Theatre hours before taking the stage for that night’s sold-out Hot Tuna show. He lays out much of that life in the just-published memoir “Been So Long: My Life & Music” (St. Martin’s Press). A quick, engaging read at 288 pages, his prose is followed by the lyrics to dozens of songs he’s composed over the past 50 years as well as a five-song CD tucked in between the final two pages. The latter includes Hot Tuna chestnuts like “Been So Long,” River of Time” and “In My Dreams,” a selection that seamlessly connects with the prose that precede them. Slick, one of the band’s principal vocalists, wrote the book’s forward, which somewhat answers that question. But raising it seems to annoy Kaukonen slightly. “The Airplane is a huge part of my life. I don’t trivialize it on any level. But it was A PART of my life and it has to fit into the scheme of things,” he says emphatically. What “Been So Long” clearly describes is a love affair with the guitar that began when a 14-year-old persuaded his father, Jorma Sr., to buy him a Gibson Sunburst J-45 acoustic and then pretty much never put it down. Eventually he would start writing songs, and although Kaukonen maintains he’s not a prolific musician his body of work would argue otherwise: Six classic Jefferson Airplane albums in the 1960s and early ’70s followed by nearly two dozen Hot Tuna albums and more than a dozen solo projects. His once brown hair has turned mostly gray and receded some over the years, but Kaukonen, dressed in black jeans and T-shirt, looks fit and younger than his years. Once also a heavy drinker — and coming of age in the ’60s a recreational drug user — he says he’s given up such indulgences. “I abused my party privileges,” he explains with a chuckle. When he got his first guitar early idols were Buddy Holly and Ricky Nelson, but in college he found himself exposed not only to Aristotelian logic but also folk, blues, bluegrass and gospel. And, perhaps most importantly, to the frenetic finger-picking style of the great bluesman the Rev. Gary Davis. By the time Jefferson Airplane’s breakthrough album, “Surrealistic Pillow,” was released in 1967 Kaukonen had earned his degree in sociology from Santa Clara University and his finger-picking style was now creating electric-guitar sounds pretty much unheard of in rock music. By 1970 he and Casady, a friend since childhood, had begun to tire of the Airplane’s more rigid musical structure and formed Hot Tuna, an ever-changing ensemble dedicated to a range of music from blues to jazz to Americana. After they complete a tour this fall that’s taking them across the country they plan another album. And there is Fur Peace Ranch, the guitar camp Kaukonen founded 20 years ago in the foothills of Ohio’s Appalachian Mountains, where he lives with his wife and daughter. Workshops, which fill up months in advance, have brought in instructors like Jimmie Dale Gilmore, Arlo Guthrie and Guy Clarke.